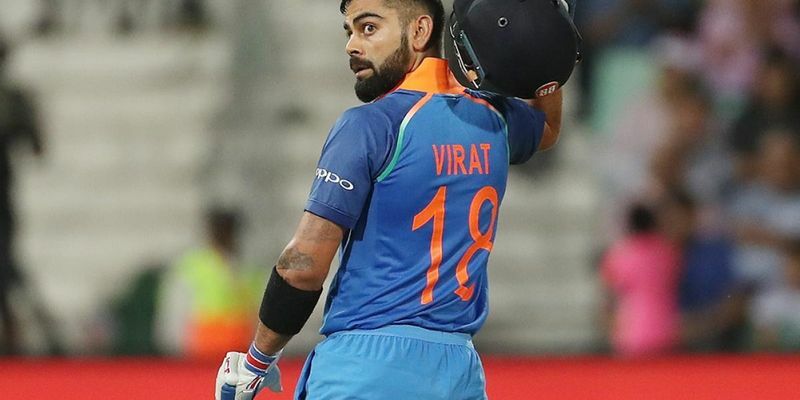 Zaheer Abbas has called Virat Kohli the best batsman around at the moment and claimed that the Indian skipper will go on to break all records in the future, even those by Sachin Tendulkar. Abbas added that India’s cricket structure has improved a lot and their system is producing quality players. Virat Kohli has been breaking records left right and centre over the last couple of years now. Kohli has a chance to leapfrog former Indian opener Virender Sehwag and record the most number of centuries in ODIs by an Indian batsman against the Kiwis in the coming series away from home. The Indian skipper is currently one behind Sehwag with five ODI hundreds against New Zealand, sharing the second spot with Sachin Tendulkar. Former Pakistan cricketer, Zaheer Abbas, is adamant that the top-ranked ODI batsman is certainly the best in the game at the moment. Abbas further added that the Delhi boy has it him to break each and every batting record in the future, even those set by the great Sachin Tendulkar. “I think at the moment Virat is the best. He will break all the records. But not only Virat, the Indian team has other top batsmen too. If you look at Rohit Sharma, you are just delighted to watch his strokes. One can only appreciate the beauty of his strokes. The variety of strokes in possession of Indian batsmen counts a lot. “Obviously, the confidence will come when you have so many strokes and when you know how to stay at the wicket. These skills don’t come easily. It takes time and hard work and one needs to develop a system for this,” Abbas said on the GSports show on GTV News channel. Abbas, who played 78 Tests and 62 ODIs, also credited the Indian domestic system which has improved over the years as compared to that of Pakistan. “Not only their batsmen but even their bowlers. They have improved a lot and this is because their board had the foresight to set up the MRF pace academy years back and get Dennis Lillee as their first coach to help groom their pacers. “India at this moment is a top side. Their standards have improved a lot especially, after the IPL because they don’t allow their players to go and play anywhere else. They are giving so much financial security to their players,” Zaheer added.